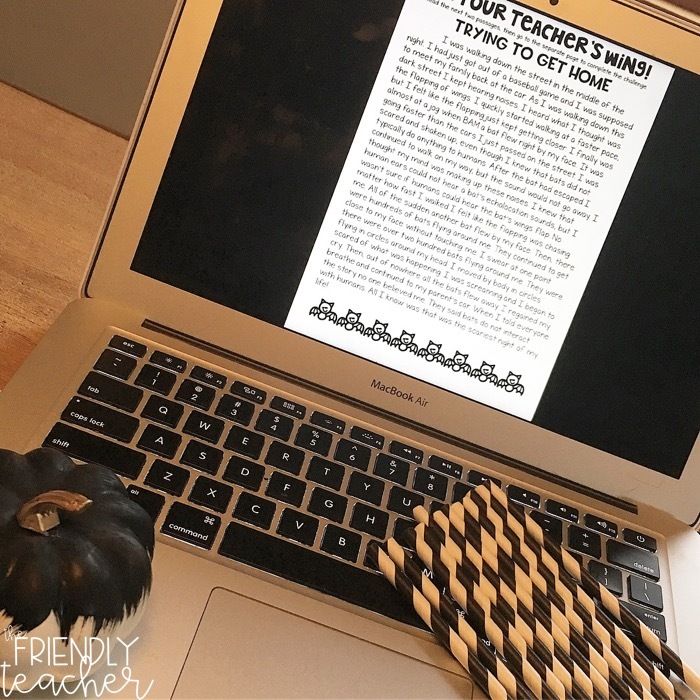 In upper elementary you need to focus on reading skills and reading strategies often, but you also want to do fun themed and engaging activities! 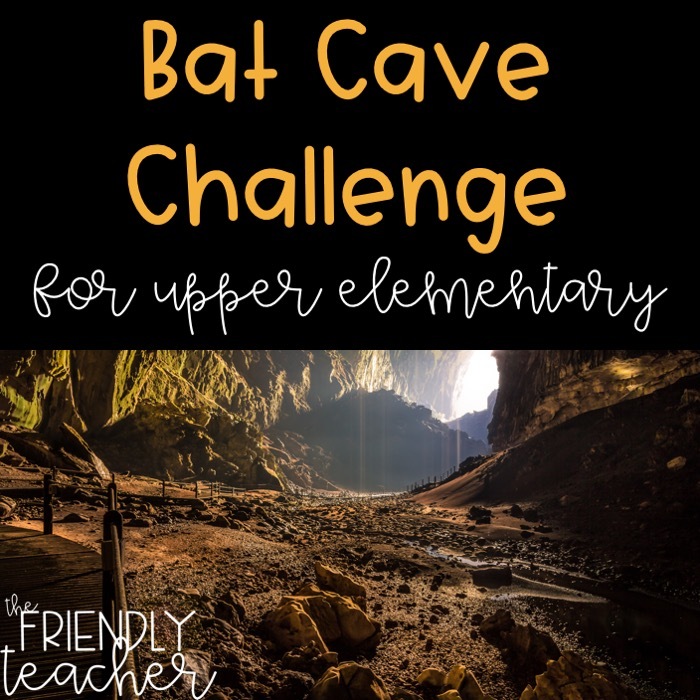 In October my favorite activity is the Bat Cave Challenge! I’ve loved watching my kiddos face light up when I come running in to the classroom as a bat! Plus, who wouldn’t want to pretend to be bats for a day?! 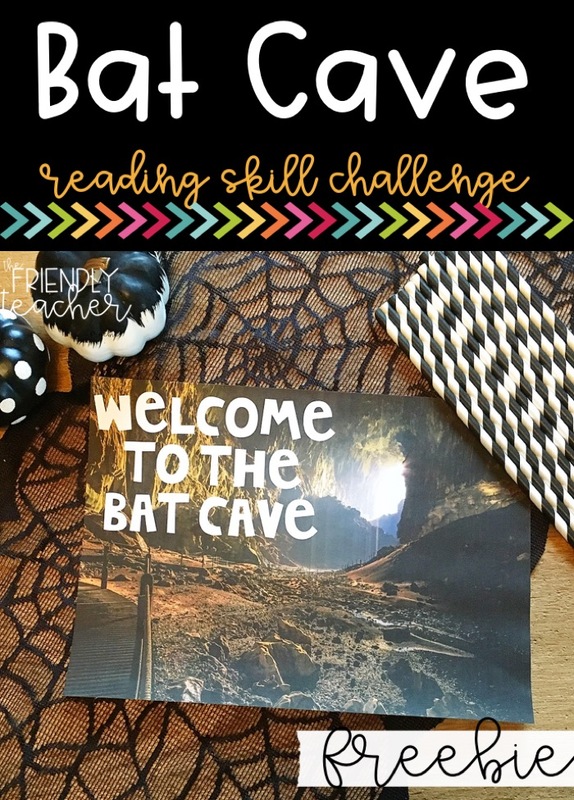 What is a reading skill challenge? A 1-2 day challenge that focuses on reading and writing skills. Always engaging and fun for the students. The kids don’t even realize that they are reading. Can be done in groups or individually. Has the effect of a transformation with little set up and prep required. Why use a reading skill challenge? It’s a great way to keep kiddos engaged while practicing their skills. They will be the kiddos favorite memories of the entire year. You can use it as an assessment of what skills the students need to work on more and what they understand. There’s plenty of time for quick teaching moments throughout the challenge. They’ll RUN home to their parents to tell them all about it. The night before the experience you tell the students to wear all black, but don’t tell them why. The teacher wears all black and puts bat wings on their back. You create the wing using one black piece of paper. Fold the black paper (big size construction paper) in half and cut zig zags across the side that opens. Do not cut the fold. Then, open it and cut across the fold for two wings. You run into the room and fall down yelling that your wing as broke and you can’t get back to your cave. The teacher explains that the only way for her wing to get fixed is if each student or group to help. The first challenge earns them the first wing, the second their second wing, the third challenge earns them tape for the teachers wing, and the final challenge sends them to the celebration place. The students then go and complete each challenge and check it with you or a volunteer when they are done. These challenges can be on paper around the room, in packets, or even on Google Drive. As they turn in the challenge the teacher can do a quick reteach lesson or mark down what students are missing. They have to get it correct to move to the next challenge. 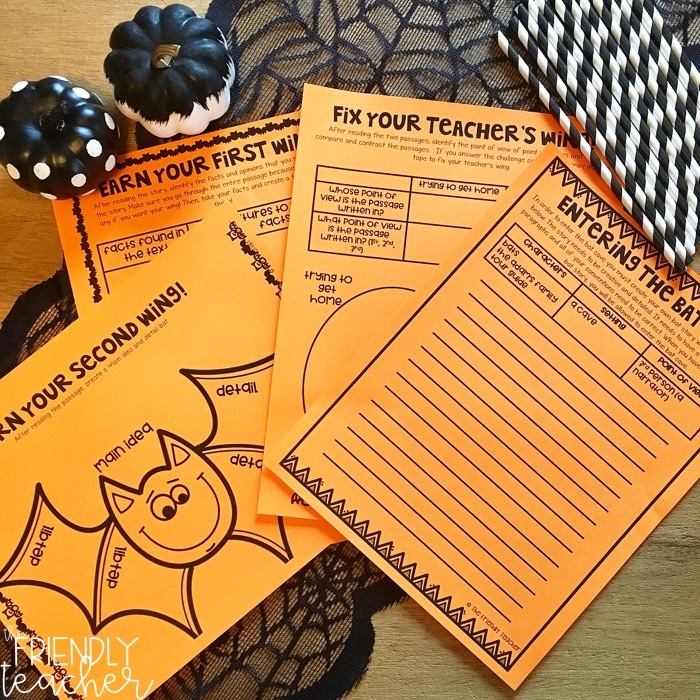 This challenge focuses on fact vs. opinion, text features, main idea & detail, compare & contrast, point of view, and writing a bat story with story elements given. Then, they get to enjoy the bat cave celebration area until everyone is done! On your door I suggest putting black paper and the bat cave sign that you can grab for FREE below! 🙂 You can scrunch the black paper and put a small cut to run into. It’ll make it feel and look like a bat cave. 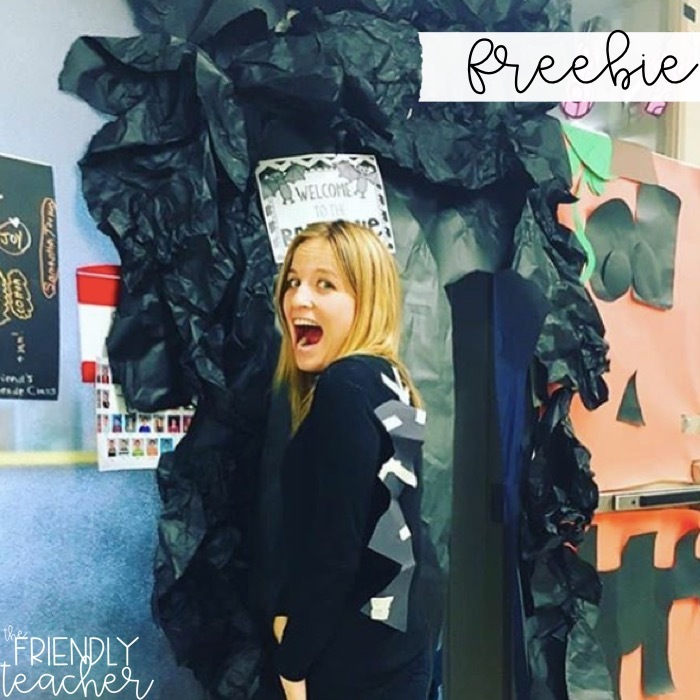 Create a little area where the students can celebrate when they are done. You can also add fun little snacks. There are snack labels in the freebie! 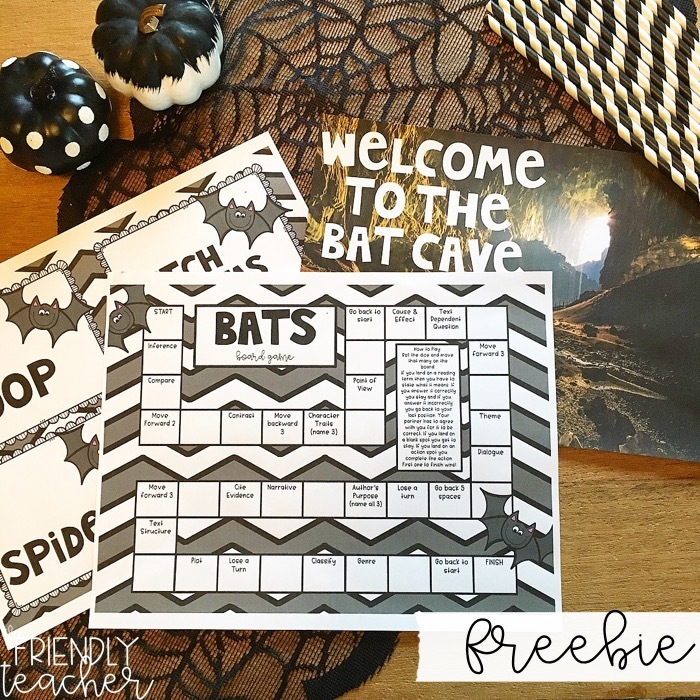 Lastly, you can add this fun bat game to play in the freebie! Do you want these cute signs and bat game for free!? Well you can grab them by signing up below!